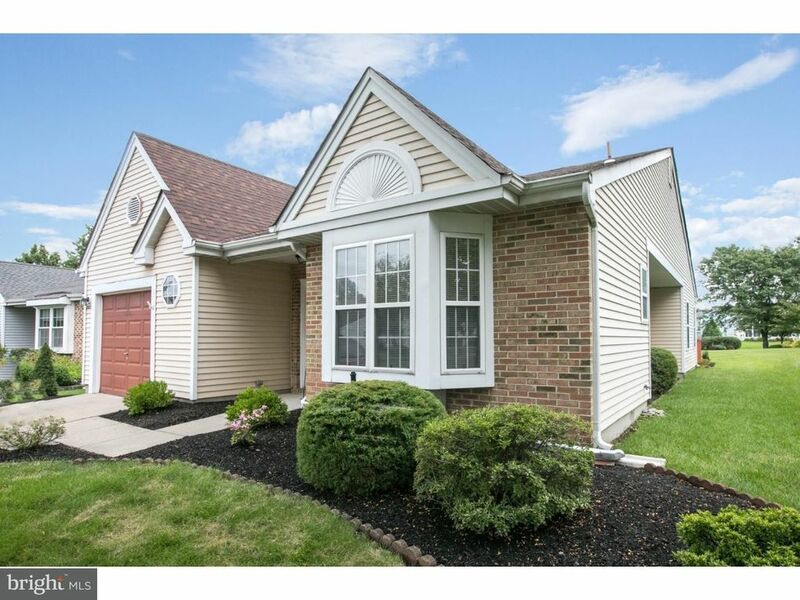 Adorable Haverhill model home in Holiday Village East featuring an appealing open layout and additional loft space. This home is ready for you to move right in with freshly painted walls and brand new carpeting throughout! Upon entering the home you will be impressed by how bright and open the space truly is. The neutral eat-in kitchen is to the right of the entry, featuring a magnificent bay window with views to the front yard. The spacious great room is perfect for entertaining, with an open concept living and dining space. Catch up on your favorite shows in the den/family room, with sliding doors to the rear yard and roomy deck. There is plenty of room outside to enjoy your evening meals or to spend some time taking in the fresh air and sunshine. All of the bedrooms and bathrooms, as well as the laundry room, are conveniently located on the main floor. The master bedroom is generously sized and offers a private bathroom with separate vanity area, stall shower and additional vanity, and a great walk in closet. The second bedroom has a nice size closet and ceiling fan, and easy access to the hall bath with an easy maintenance tub/shower combo. One of the highlights of this model is the additional loft space on the second floor which is private enough to be a great guest bedroom or home office. Some additional highlights include a newer roof (less than 6 years old) as well as newer HVAC (updated in 2012). Take time to enjoy some of the great amenities that the community has to offer to include swimming in the community pool and taking part of fun activities in the clubhouse. Come out today to take a tour of your future home!